For the first time since 2010, the Storm hosted a WNBA Playoff series in the form of a WNBA Semi-Finals 5-game series with the franchise rival, Phoenix Mercury. After defeating Phoenix in a thrilling Game 5 in front of their home crowd, Seattle tore through the Washington Mystics to win their 3rd franchise title. 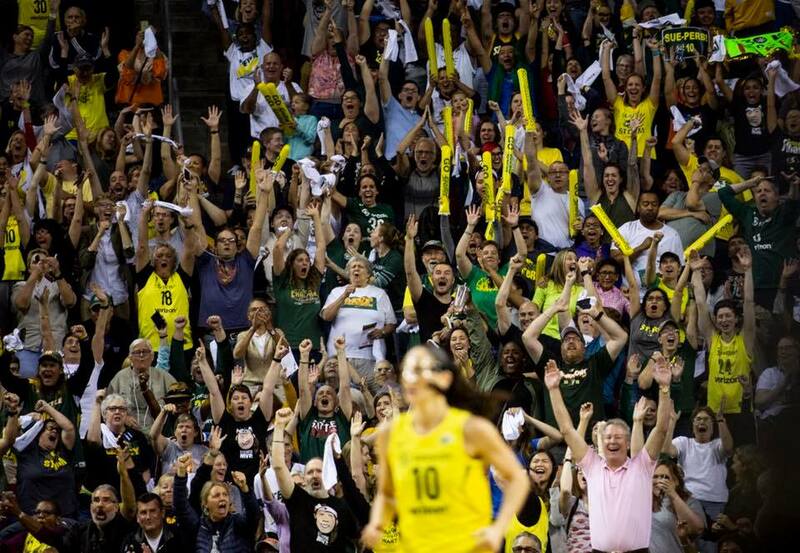 KeyArena was sold out for the final 8 Storm home games and the energy was as pictured, each game. Two short days after the Storm beat the Mystics in Washington to claim their 3rd franchise title, KeyArena was filled with Storm fans for one final hoorah to celebrate Seattle’s latest champions. Sue Bird, Breanna Stewart, Dan Hughes and the team paraded to the arena and then told stories and watch highlights of their season before confetti and balloons filled the air inside KeyArena. The players told stories, laughed and celebrated with the fans until the lights went out. A fitting end to their run at KeyArena. With the demolition of KeyArena looming at the conclusion of the season, the Storm spent the summer celebrating what would be another banner season for the franchise. The 2018 season marked 3 Point’s fifth season as the official production partner of the Storm and with that, one of the league’s greatest home court advantages. KeyArena was electric all summer long. 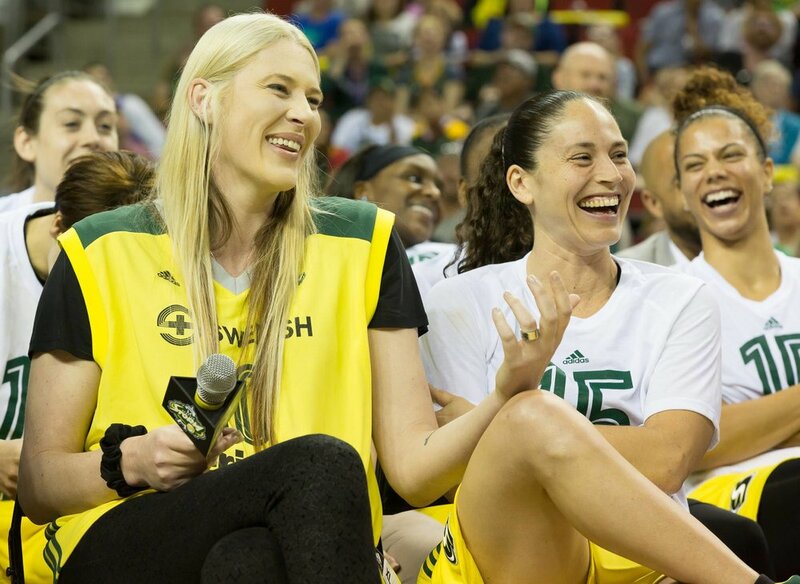 Entertainment highlights included the return of the 2015 fan favorite, Between Two Birds with Sue Bird. Season 2 brought in a reimagined set making for some extremely fun video shoots and some golden comedic content. 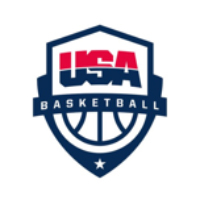 With a depth of experience producing NBA and USA Basketball games across the globe, it was a fitting opportunity to team up with the Seattle Storm, WNBA and USAB to produce an international event in our own backyard. The crowd showed up strong to see Emerald City favorites Sue Bird, Breanna Stewart and Jewell Loyd alongside a star-studded lineup of the WNBA’s best. 2017 marks the fourth straight season 3 Point has produced Storm game presentation in KeyArena although our history with the organization dates back to the team's inception in 2000. 3 Point once again spearheaded the creative process for Storm Media Day and brought that plan to life by executing and theming the Storm's season-long fan experience. Highlighted improvements came in the use of more situational Storm Player GIFs & Crowd Hypes as well as the introduction of two new season-long features 'Storm Toss Up' and this year's fan favorite, 'Fake News Reports'. The Fake News interviews we're conducted by a familiar face to many, "Marty" was played by 3 Point's own Derrick Gomez. Watch the first Fake News Report | Is Sue Bird Logo Woman? Watch more Fake News Reports on the Storm's Facebook! In Seattle's first time hosting the WNBA All-Star game, we delivered on all accounts. Given our history with the team, we pushed hard to make sure this WNBA All-Star Game was unlike any other. We pulled out all the stops. Our influence on the game included the resurrecting of the WNBA 3-Point Contest after an 8-year hiatus and by enhancing the All-Star Introductions which were staged with players walking down the aisles through roughly 15 rows of high-fives from fans before greeting their teammates on-court. The day also served as a tribute to legendary Storm Point Guard, Sue Bird in celebration of her storied career here in Seattle. The game was broadcast live on ABC and goes down as one of the cleanest and proudest productions in 3 Point's history. 2016 marked a widely historic year for the Storm franchise, highlighted by the adding of Swedish as the title sponsor on their jerseys, the first logo change in franchise history and the landing of the #1 overall pick in the WNBA draft for the second straight year. The pick yielded the most decorated college basketball player of all-time and eventual Rookie of the Year award winner, Breanna Stewart. Building off of 2015, the team brought youthful energy to KeyArena and the fans responded, making it one of the most challenging venues to play in for visiting teams. Our entertainment theme shifted to a 10-player Lip Sync Battle which was won through fan voting by the savvy veteran, Sue Bird. Adding to the historic 2016 Seattle Storm season was the formal retirement announcement of WNBA Legend and Storm great, Lauren Jackson. The Storm responded by planning the jersey retirement ceremony, which took place immediately following a Storm game in mid-season. 3 Point spearheaded the overall presentation of the game which was themed around LJ as well as the ceremony which earned league-wide recognition. The ceremony featured video messages from past players, coaches and rivals but the highlights were the speakers, most notably by Lauren's long-time teammate, Sue Bird. 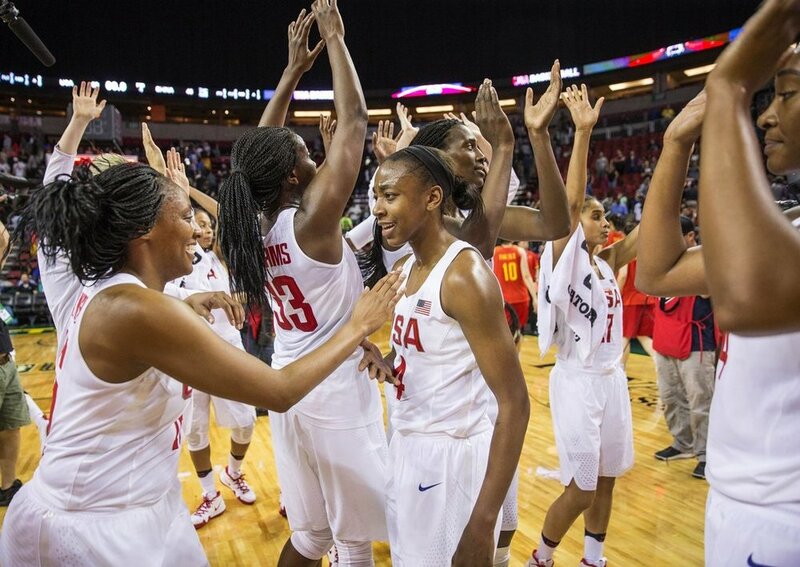 With the #1 and #3 overall picks in the 2015 WNBA Draft, the Storm took major steps forward in rebuilding the franchise and brought new star power to the Emerald City with the selections of Jewell Loyd & Kaleena Mosqueda-Lewis. The exciting rookies blended well with veteran Sue Bird both on the court and off as evident in our 'Between Two Birds' entertainment features that were highlighted during games throughout the season. In partnership with NBA star and Seattle native, Jamal Crawford, the Storm hosted the tip-off game of Jamal's Seattle Summer Pro-Am League at KeyArena. It was a basketball doubleheader for the 3 Point crew, first producing the WNBA game and then keeping the energy rolling into the night for the Seattle Pro-Am game. The fans were treated to appearances by NBA stars with local ties like Isaiah Thomas, Kelly Olynyk and Spencer Hawes amongst others. Sonics Legends Lenny Wilkens, Gary Payton & Shawn Kemp served as the team coaches in the celebration of Seattle basketball. 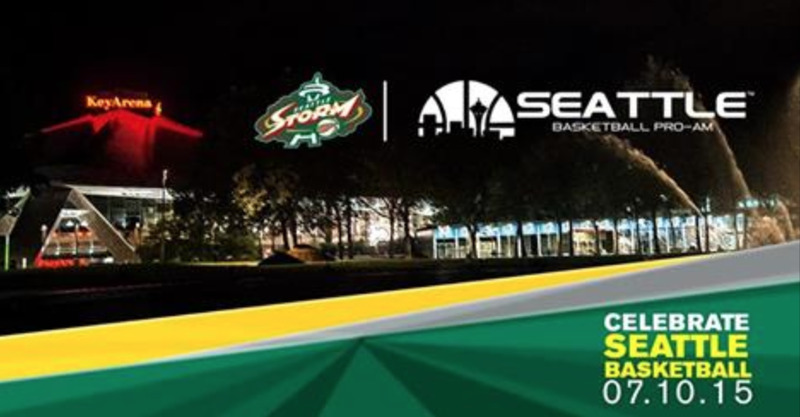 Beginning with the 2014 WNBA season, we have partnered with the Seattle Storm to produce their home games at KeyArena. Along with building the greatest home court advantage in the WNBA, we work closely with the organization's marketing team to produce a game presentation which enhances the fan experience, improves theme night activations and provides creative assets for the sponsorship department to maximize their partnerships.